Love New York? So do we. 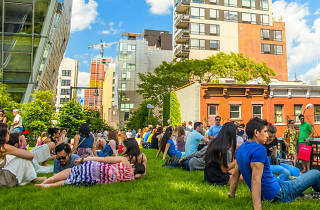 In fact, we love it so much that we’ve launched an initiative to recognize the spots in the city that New Yorkers love the most. Our 2018 Love New York Awards aim to honor the restaurants, shops, parks and beyond that New Yorkers can’t get enough of. Over the past month, we’ve asked you, dear reader, to vote for your favorites. Now, with just a week of voting remaining (it closes on April 10), we’re hoping you’ll make one final push to push your favorite locale to the top of our leaderboard. While we’re not going to reveal the full nitty-gritty results thus far, we will highlights a few races that are close, interesting and ought to evoke a good amount of civic pride. The contest of New York’s favorite cinema is quite close right now. Alamo Drafthouse City Point is currently leading the race, but is closely followed by Nitehawk Cinema, AMC Loews Lincoln Square 13, Angelika Film Center and Cinemart Cinemas. The best park in New York, according to reader votes so far, is Central Park (no surprise there). But Olmsted and Vaux’s masterpiece is closely followed by some underdogs. 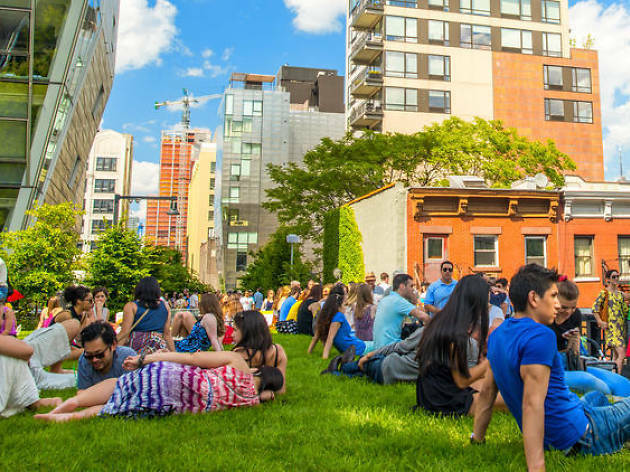 Wave Hill, Brooklyn Bridge Park, Bryant Park and Washington Square Park are all on its tail. And when it comes to the hippest music venue in town, newcomer Brooklyn Steel is leading the pack. Not far behind are Music Hall of Williamsburg, Irving Plaza, Pangea and Rockwood Music Hall. If you didn’t see your favorite haunt here (or it's in close contention to come out on top), it’d behoove you to head to our Love City Awards page and let your voice be heard. Don’t worry, a win in these awards won’t crowd you favorite spot—it will just give them some well-deserved recognition.